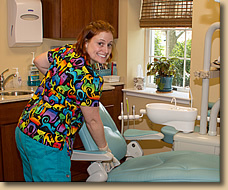 We told our patients that we wanted to spruce up our website with a testimonial or two. You may have seen some of them on the other pages of our site. We were overwhelmed by the response. Here are some that weren’t able to find a home elsewhere on our site. 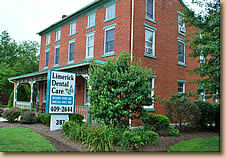 Limerick Dental Care is conveniently located on Ridge Pike. Before I visited Dr. Adolf for the first time, I hadn’t been to a dentist in over 7 years! I was so frightened of the dentist’s chair. A bad toothache left me no choice but to try again, and I’m so happy that I called Limerick Dental. Dr. Adolf is both kind and skilled. I’ve been returning every 6 months for the past 5 years, and my fear of dentistry is a distant, faded memory. My entire life I have been plagued with extremely sensitive and problematic teeth. At one point, I was having teeth pulled rather than suffer the pain of having them repaired. Then, I met Dr. Adolf. Dr. A. 's techniques redefine the term 'gentle dentistry'. My teeth are now in the best shape of my life, and actually I enjoy going to the dentist.